Looks like Minsc and Boo are returning. No, not in computer games but comic book form. Baldur's Gate will feature in the new Dungeons & Dragons comic book series from IDW. You can read more about it at ICv2. 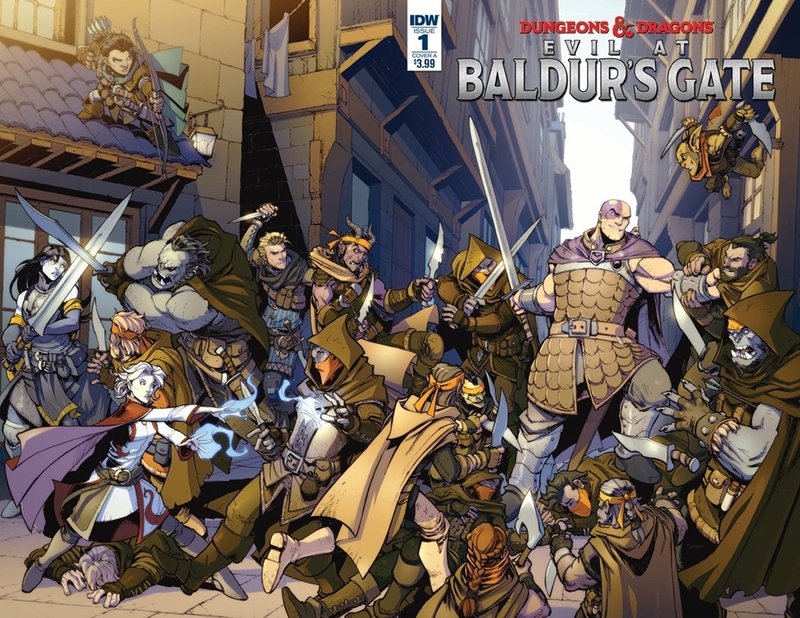 This isn't the first IDW comic with Minsc and Boo, though. He was one of the protagonists in their Legends of Baldur's Gate (2014-15), Shadow of the Vampire (2016), and Frost Giant's Fury (2017) series. All of them excellent. Love Jim Zub’s writing with the Diaz art. Never really explained, but it seems his statue in Baldur's Gate was actually him and Boo petrified, and was accidentally released by a wild mage. Ah....well that sort of does explain it....! Hmmmm second comment: just noticed the last two graphic novels tied in to the module releases. So is this one possibly hinting that Baldur's Gate will be the center of attention in the next module? Five comments already and no one has quoted "Go for the eyes!" yet? For shame! I was just going to do that very thing!